Photos by Tara Gibbens. ET courtesy of Ernie Cline. Since the previous posting comments section is closed, I would like to thank Ms. Sibel Kekili for her great work on the show. I am so glad she was cast, she is a fantastic actress and a great addition to an already amazing cast! PS Briefly, for my part I never understood why people get in such a huff over things like the previous episode of "Game Of Thrones" . As a fan of both the novels and the series I never felt one detracted from the other. I actually saw Season One before reading the books, and when I went on to see the next seasons, I found I enjoyed the show even more and viceversa I came to appreciate the novels even more. So you have a fan of both who IS more than satisfied and happy with both! Congratulations on the great Jean Cocteau Cinema programming. It is always good to give the opportunity to these low-budget films. The great artists are born with unjustly unknown proposals. Is projected Upstream Color? It's a great film for this type of Cinema. Greetings and good luck! 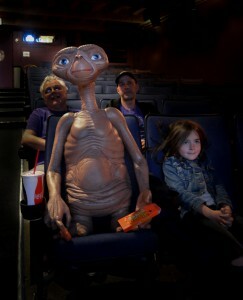 Was ET permitted special exception to phone home during the movie? LOL. I hope you post about Harry too; seeing you guys there was amazing. Are extra-terrestrials charged adult or child admission? Talk about a special guest. I would love to visit your Theatre, George. Seems like a wonderful place. 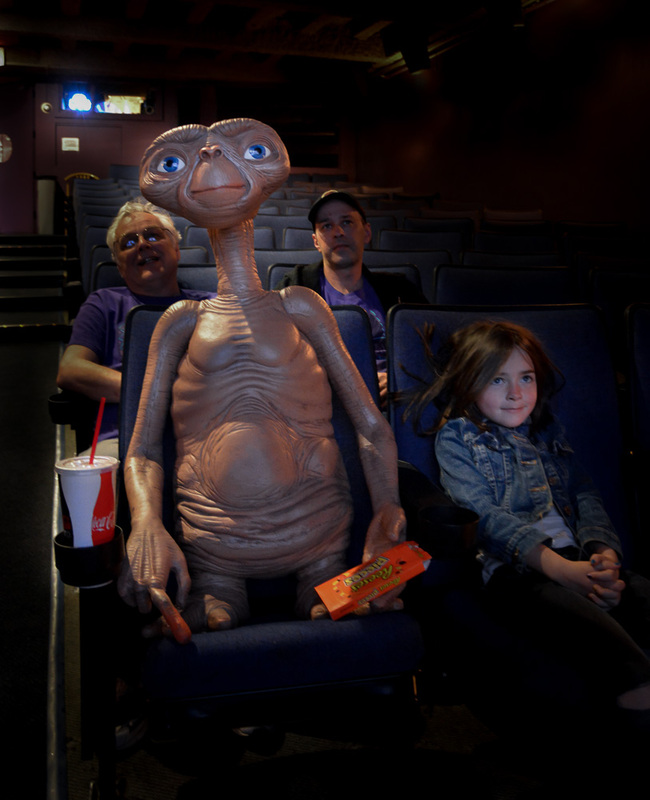 I was so freighted by ET as a child and have never gotten over it. When he got sick :O but Drew and flying bicycles were fun! I don't know why but we give Elliot's here with my son instead of high fives. Eehhhliottt! Try it. It's silly. Awww, so cute, they look like the best of friends. Love E.T. 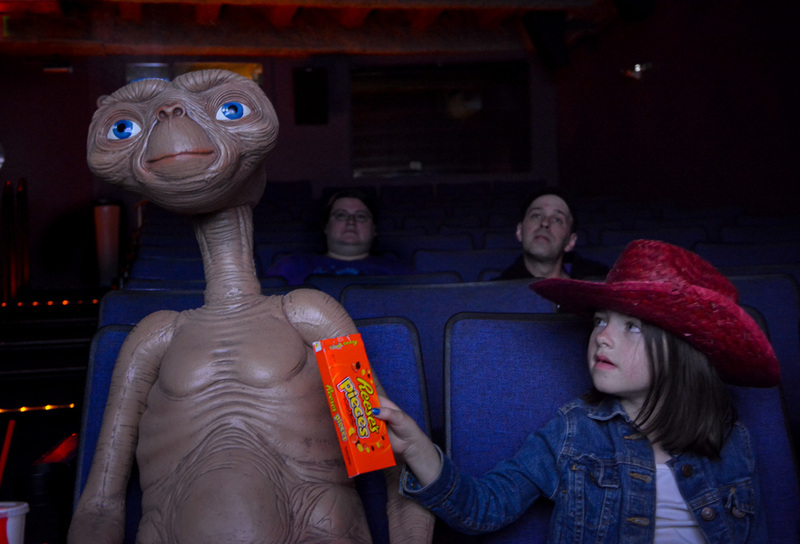 And Reese's Pieces candy.